In court today, GameFly triumphed once more in its seemingly never-ending fight against the U.S. Postal Service, which GameFly alleges has shown favoritism in how it sorts Netflix mail going all the way back a time when people actually rented movies by mail. The U.S. Court of Appeals for the District of Columbia told the Postal Regulatory Commission either to stop playing favorites or come up with a better reason why the differing treatment was justified. GameFly has maintained since 2009 that the Postal Service has hand-sorted Netflix discs at no extra charge. Machine sorting of GameFly discs created all sorts of problems, notably breakage. 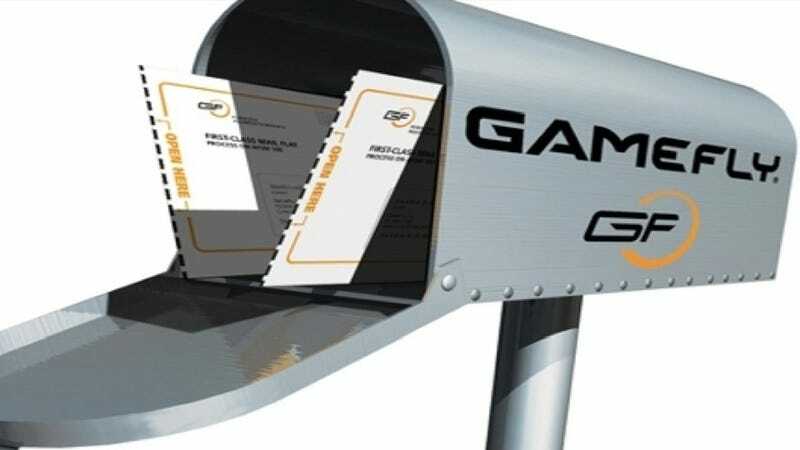 GameFly asked for the same hand-sorting consideration but was refused, and the resulting adjustments GameFly had to make in its mailing operation cost it millions annually. In 2011, the Postal Regulatory Commission found that the Postal Service had given "an unreasonable preference" to Netflix, but the finding still didn't put the two on equal footing, which is why GameFly went to the Court of Appeals. In the four years since it filed the complaint, GameFly has seen kiosk rentals emerge to challenge it for customers, and it acquired Direct2Drive in 2011 to gain a footing in digital distribution. It still serves a lot of console gamers with its rent-by-mail service. In early 2011, GameFly suggested its monthly profit would double if it got the Netflix rate and treatment.